Perhaps the easiest way to earn points in this challenge is to employ good management practices. Detailed descriptions of those practices are below. When defrosting freezers remember to brush or tap ice off of the gasket around the door seal. Dust removal from the intake and coils can be done with a vacuum. 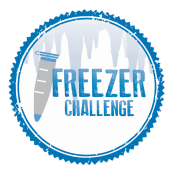 Freezer clean-outs conducted in labs at UC Davis and the CDC indicate that 10-30% of items stored in refrigeration units are no longer need or no longer viable. Inventories reduce the likelihood of misplaced samples and improves sample access speed. Inventories include identifying information about samples (researcher, date, experiment, sample type), and they may be paper or electronic. They are updated periodically to include the most recent sample additions and removal. Searchable sample inventories reduce time spent locating samples, and shorten freezer door opening times, thereby increasing equipment efficiency and workflow. Electronic inventories must be searchable. Many labs still use freezer boxes that store only 81 samples (9x9 dividers) or 100 samples (10x10 dividers). In order to maximize existing space, switch to high density storage (13x13 dividers or smaller tubes). Contents of at least three full freezer boxes must be converted to high density format in order to receive credit.